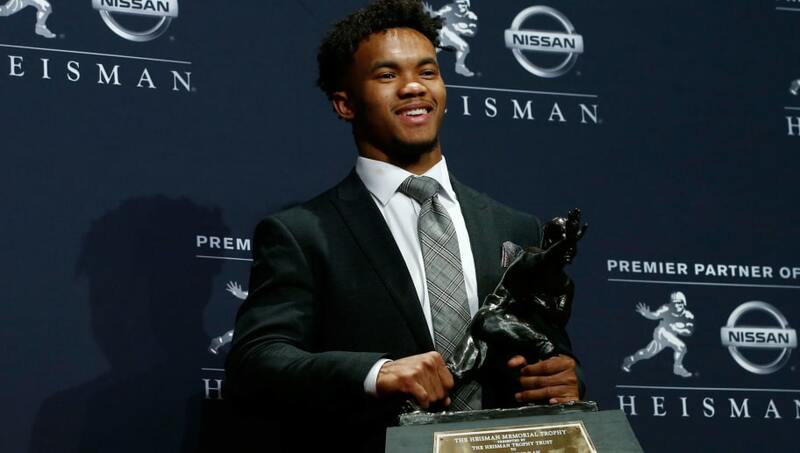 Oklahoma Sooners' quarterback Kyler Murray recently sent shockwaves through both the NFL and MLB, as he decided to forego signing with the Oakland A's to declare for the 2019 NFL Draft. Murray's decision certainly excited quarterback-needy teams, as this draft class didn't seem to have as many talented signal-callers as last year's. With that said, let's take a look at the expert projections for where Murray will be drafted. These projections are from staff members at CBS Sports, Bleacher Report, SB Nation and New York Upstate. Mock Draft Tuesday may not roll off the tongue like Mock Draft Monday, but NYUP has their latest first-round mock draft ready to go. Three of the four outlets have projected Murray to the Jacksonville Jaguars as the No. 7 overall pick, while the other had the New York Giants selecting him with the No. 6 overall pick. Either way, it looks like Murray is currently locked-in as a top-10 selection. If Murray goes to Jacksonville, he could team up with Leonard Fournette to create an explosive running game. Drafting Murray would likely be a huge upgrade over Blake Bortles, and could instantly make the Jaguars contenders again if their defense returns to form. On the other hand, the addition of Murray could potentially revitalize a Giants' offense that has become increasingly sluggish and predictable with Eli Manning at the helm. And teaming Murray with Odell Beckham Jr. and Saquon Barkley would create one of the most dynamic young trios in recent memory. Regardless, either team would be an extremely exciting destination for the Heisman Trophy winner.